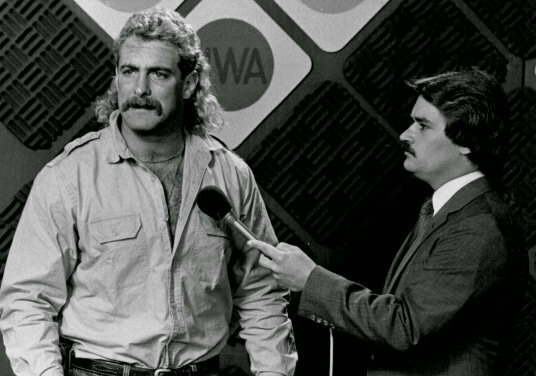 While not a studio where actual wrestling matches were taped, the makeshift studio at the offices of Jim Crockett Promotions on Briarbend Drive in Charlotte served an equally important purpose: the taping of the many local promo segments for the various TV markets. 421 Briarbend Drive is the fabled address of the offices of Jim Crockett Promotions in the 1980s. The old 7-Eleven building where the Crockett offices were once housed is no longer there. 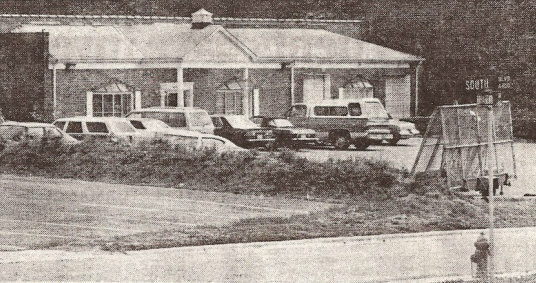 However, it holds its own special place in wrestling lore: not only was it the HQ for Jim Crockett Promotions and the site of the local promo tapings, it was also the scene of an infamous angle where the Four Horsemen jumped Dusty Rhodes in a parking lot in the months leading up to Starrcade '86. The office was home to a small studio, or basically a big storage area converted into a studio. Here the local promotional spots were taped each Tuesday. The spots were inserted into the syndicated "Mid-Atlantic/NWA Pro Wrestling" and "World Wide Wrestling" programs that were sent to markets across the territory, and later across the country. Earlier, during the years the Crockett TV shows were taped at WRAL in Raleigh and WPCQ in Charlotte, the local promos were taped there in those same studios. But once Crockett moved his TV tapings out into the arenas in July of 1983 with the mobile production unit known as NEMO, they set up the small studio at Briarbend to do the marathon promo sessions there. Tony Schiavone was the primary host of these promo sessions, but others hosted as well including David Crockett, Jackie Crockett, Big Bill Ward, and others.